Good afternoon ladies and gentlemen. It's been a while again since I posted, but I wanted to share the reviews ESPERS has been getting so far. It's been a slow run, but very worthwhile all the same! * ALBUM OF THE WEEK at College Info Geek. "Espers is an ambient album that needs to be listened to with a good pair of headphones. Utilizing layer upon layer of varying instruments and samples, 12F/MX creates an immersive soundscape that makes you feel as if you’re in a different world. [...] In particular, the last track, “Sagetellah – The One Who Waits for the Life to Come” is extremely enjoyable and demands repeated listens. [...] All in all, Espers is an extremely well-produced and enjoyable album, especially since it’s an independent project made by one person (I believe)." "Espers by 12 Followers/Meteo Xavier is a compelling musical journey. Its strong suit it’s amazing sonic ambience the song for song musical flow. 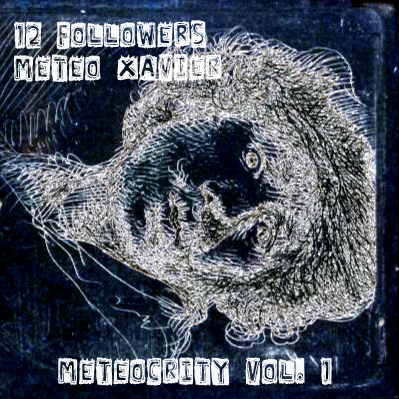 12 Followers/Meteo Xavier gets high marks for his brilliant musical transitions and connecting passages - nice touch. This CD will be a real joy for those listeners out there who want flowing theatrical ambience to fill their sonic space peacefully snd unobtrusively." "Espers by 12 Followers/Meteo Xavier is a rock solid release. The songwriting is clearly above average. The production gets it’s point across well. Again the most amazing thing about this CD is the composition genius of 12 Followers/Meteo Xavier. He’s clearly a premier talent. Fans of all things ambient will love this CD no doubt." "Espers provides a generally relaxing experience similar to that of famed new age artists such as Enigma and Mike Oldfield. in his own heyday. [...] Espers is a novel way to chill out from the many unnecessary stresses of life. Every song has character. It is a highly-recommended work of art and indeed a solid addition to any aficionado's music library." "“Espers” by 12 Followers/Meteo Xavier is clearly a solid release with many feel grooves with a pleasant atmospheric quality to it. It’s a record that gives us a fresh glimpse at an amazing artist and takes us back a few years – before everything started sounding like – well Nikelback." " 12FMX is a fascinating artist. Like I said most famous artists out there have 'it' I'm not so sure what it but 12 Follwers/Meteo Xavier clearly has whatever 'it' may be." Been a while since I made a post, so I'm going to post the ESPERS videos that are on Youtube. I've been using them as a means to really learn how Youtube marketing works and to experiment with the views and demographics in particular because it always seems like it gives different numbers, and freezes them if you put your own in after 300. I'm still learning that aspect of it, but in the meantime, here are the videos for ESPERS. my Sonic 4 and my Super Metroid/Metroid Prime remix. Enjoy! And now I have a way where you can listen to it straight from my website here. Priced $5.99 just like CDbaby and I believe you get your choice of 320KBs MP3s, FLAC, WAV or other versions of it.Enjoy! This was a pretty good surprise to me and one I had secretly hoped for since its creation, but Espers is now available on physical CD from Lightfall Records! It took some time and a lot of patience, but all things considered, I'm pretty satisfied with this outcome. Now begins the process of promoting it beyond this blog post. Podcasts, reviews, advertising, link exchanging, physical distribution, begging. All the things the independent artist must do to build a presence these days. Main reason to mention that is I hope to use what experience I gain from that into a page on this site here to offer real world, practical and useful advice to others beginning that journey. I could probably start it now from what I know already, but I'll wait until I see some figures before I do that for real. So look forward to that - in the meantime, enjoy Espers now available at ($7.99 CD, $5.99 digital download) through Lightfall/Aardvark Records and help support this artist so that he may afford give you music and useful things on your own musical journey. That came off a lot more desperate than I wanted to - oh well. Enjoy! Good morning, afternoon or evening, ladies and gentlemen. It is my proud honor to offer, on behalf of Wardriver, this free collection of assorted tunes and tracks I have worked on over the past few years in my bold and delusional pursuits to become a video game composer - re-mixed (not remixed, sadly) and remastered by bLiNd and then as a whole by Daniel Lippert (Usabellchan). Meteocrity Vol. 1 by 12 Followers/Meteo Xavier is a very sharp contrast to my previous album, ESPERS. Very little ambiance and new age here, this is instead 18 tracks of SNES-PS1 style mid-to-fast tempo, melodically based tracks that were all done on commission or request in previous projects that, for one reason or another, never came to fruition or have yet to be published in any game form. Why should they sit on my hard drive unused? All tracks except #9 and #18 loop twice and fade out. #18 is a full song and #9 loops four times by accident, but considering what my then-employer asked me to do with it, it seems fitting. Not sure what else to tell you about it except I hope you enjoy it and I hope you spread it throughout the internet so I can grow and improve as an artist. Mastering: bLiNd for Tracks 1, 3, 8, 14, 16. If I've left anyone out, please contact me and let me know so I can credit properly. Finally, reposted links for convenience. 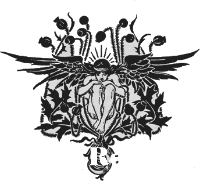 * Facebook Page for these tracks and more! * Thasauce.net - Thank you once again guys!